An Excellent Collaboration: CLOUD 9 PHOTOGRAPHY and AirDOC. Cloud9Photography.US [C9P] and Aircraft Documentations [AirDOC] are proud to announce that since the start of 2008 both companies are collaborating and cooperating by exchanging pictures and copyright license agreements. 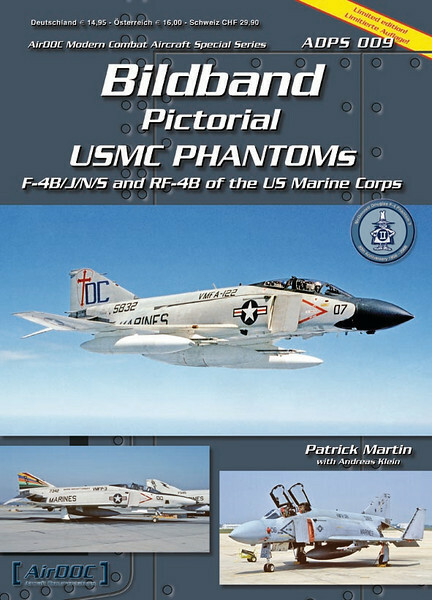 C9P pictures have now been published in AirDOC’s two newest products, one on the McDonnell Douglas F-4 Phantom II in United States Marine Corps’ squadron markings and one on British Harriers. You can see covers of these publications by clicking here. C9P’s airplane pictures will now be published in future AirDOC publications and airplane pictures from AirDOC’s archives will now be available in large format at C9P. AirDOC has already supplied C9P with excellent original film images of top of the line real Soviet Union jet fighters and attack aircraft plus German Air Force McDonnell Douglas F-4 Phantoms, including true air-to-air original, “fresh” pictures of the mighty F-4. This C9P-AirDOC cooperation shall insure that you, the military aircraft enthusiast, will benefit from many wonderful airplane pictures taken on rare occasions all over the world. AirDOC company, situated in Bavaria, Germany, was founded by Andreas Klein in 2001 to publish high quality aircraft related publications. First established as a non profit venture, it turned into a full time job during the past years. Andreas drew his knowledge and enthusiasm from twelve years of service as an intercept control officer in the modern German Air Force, which he left in the rank of a captain. 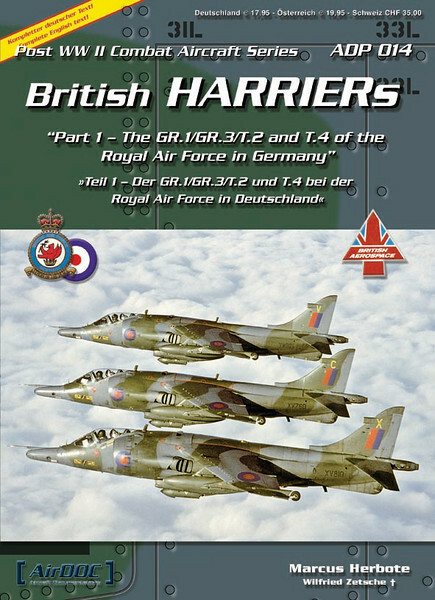 All AirDOC publications are formatted A4, soft cover, have 64-72 pages, about 180-200 photographs and feature English text and English/German captions. Their monographs include in depth research, squadron histories and technical background info. Most of these titles finish with a chapter of detailed airframe and cockpit photographs for the modeler and technically interested enthusiast. Since AirDOC is listening to the demands of the modeler and enthusiast, AirDOC has also introduced a line of decals and resin conversion sets with related aircraft depicted in their publications. The decals were printed by Cartograph in Italy and Microscale from the USA, while the resin sets were cast by Aires from the Czech Republic. Peter J. Mancus, C9P’s owner, has reviewed copies of AirDOC’s latest publications on U.S. Marine Corps’ F-4s and British Harriers, and, as a fellow enthusiast, per the standard “A” to “F” scale, “A” being best, he gives both publications an “A”. These AirDOC products deserve an “A” because 1) the selection of photographs is impressive and comprehensive, so much so that Peter saw pictures of airplanes in markings that he never knew existed, and that is after decades of spending a lot of time looking at airplane pictures from various collections and publications; thus, Peter is impressed with the comprehensive selectivity and “freshness” of the pictures from private collections; 2) the publications have strong, sturdy, high quality, thin, paper covers, high quality glossy paper, and the printing and detail of the pictures on the glossy paper are superb; 3) the pictures’ captions are informative; 4) the publications are well laid out and informative with interesting, succinct, text that is not a re-hash; and 5) the publications are of the same handy size and are a nice, convenient, dense pack of solid information and good to great pictures. Peter, for years, traded original slides with one of the finest airplane photographers he has ever traded pictures with, Wilfried Zetsche, of Germany. Sadly, Wilfried died. Unknown to Peter, Wilfried was also a close friend of Andreas Klein, AirDOC’s owner. Andreas acquired much of Wilfried’s collection, which included many airplane pictures that Peter took and traded to Wilfried. Andreas then contacted Peter and, this C9P-AirDOC collaboration arose from that contact. When Peter reviewed the credits in these new AirDOCs publications, he ran a finger tip over Wilfried Zetche’s name, with fond memories, with sadness, and with the belief that Wilfried, in heaven, must be pleased that his two friends–Andreas and Peter–are cooperating and making their combined airplane pictures available for more persons to enjoy. AirDOC’s Internet site’s URL is: www.airdoc.eu .